Ok, I have found the single most luscious yarn in existence. I was yarn shopping with my friend Kady the other day and as soon as I saw this yarn, I knew I had to have it. It’s one of those yarns that as soon as you pick it up, you’re lost. You can’t put it down. The color is perfect and the feel is divine. This particular yarn is 65% baby alpaca, 15% silk, 10% camel, and 10% cashmere. Yeah, it’s made out of the softest materials on Earth. Spun into one beautiful, deadly skein. Called the Road to China, the yarns are all dyed in jewel tones. Each fiber in the yarn takes up the dye differently, so the color in incredibly rich and interesting. The skein that I bought, Lapis, is mostly dusky blue with hints of green and purple. But not “hints” like a variegated yarn, more like… this is hard to describe and the pictures don’t do it justice! Needless to say, this is not a cheap yarn. It’s about $20 for 80 yards, which is way more per yarn than I’d normally pay. But this was so special. I thought I would make a hat out of it at first. I got partway through the hat, too. But you know, you don’t really feel a hat since it’s over your hair. And this yarn needs to be felt. (Not to be confused with felted. I wouldn’t want to felt these!) “Mittens!” I thought (or rather, exclaimed as Lowell was making us a snack). 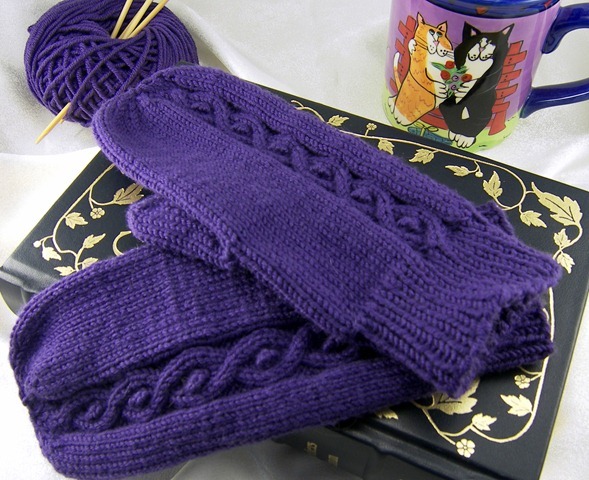 This is the perfect yarn for mittens. 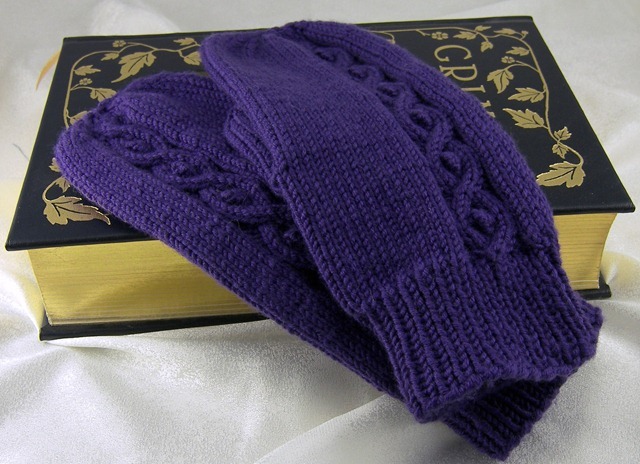 (I admit that I wasn’t thinking straight when I somehow got the idea that I could make the pair with one skein. I blame it on the massive amount of popcorn I ate when we saw the new James Bond movie.) 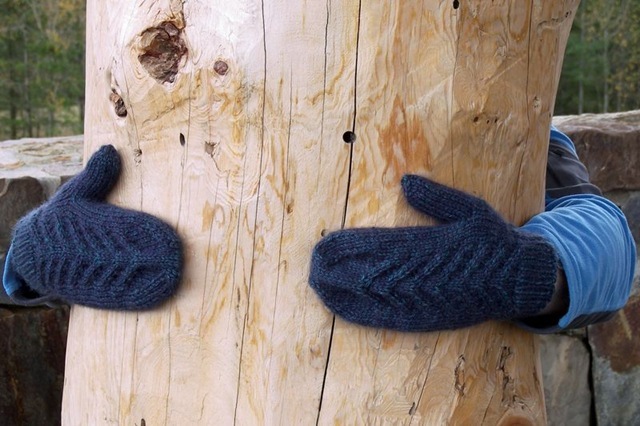 Anyway, these are just about the perfect winter mittens. Soft as anything, fairly lightweight because of the alpaca, and extremely warm because of the aforementioned alpaca and cashmere, and gorgeous to boot. 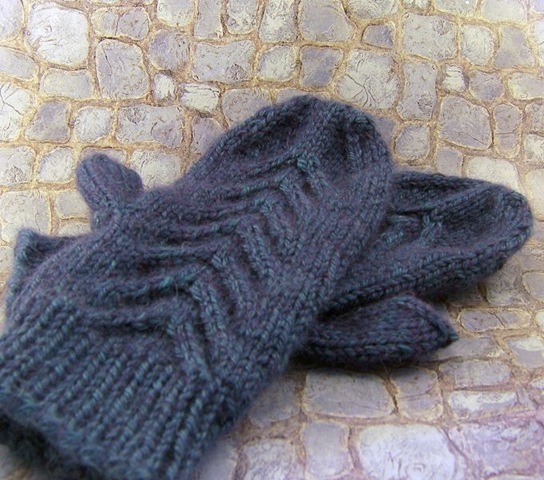 I also love mittens because they’re so quick to make. 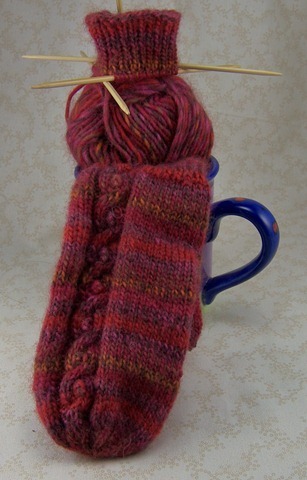 This Road to China yarn is a thick worsted weight and I used size 6 needles. I knit the first one in a few hours. 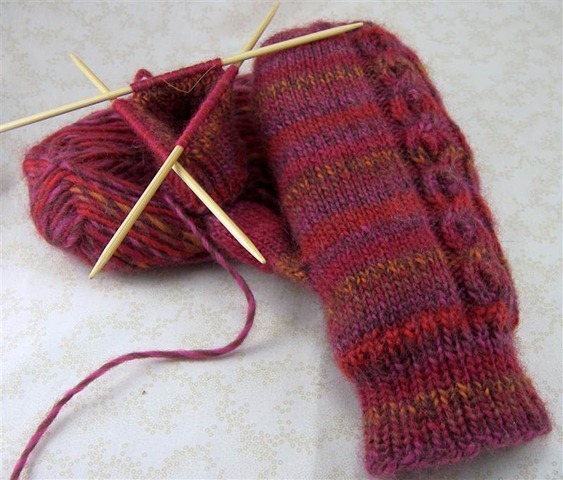 I had to go back to the yarn store to buy another skein, which I wound today and I’m going to finish up the mittens tonight. Lowell loves the pattern too and asked me to make him a pair. 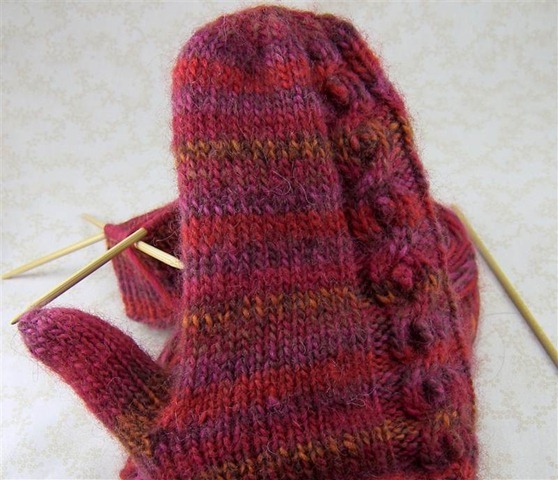 Knitting with this yarn is such a joy, I think I can make these mittens forever and still be happy. (I won’t, but I could.) 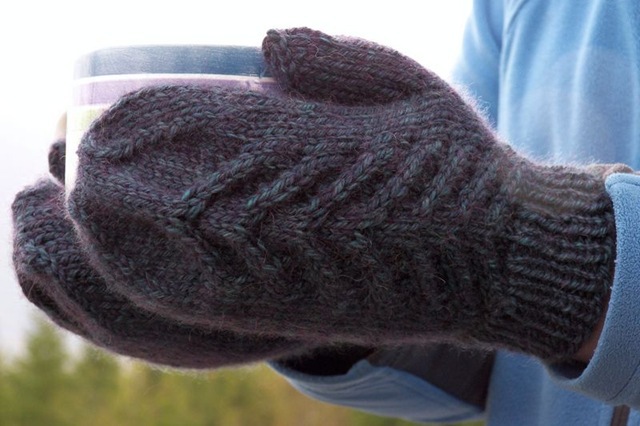 Lowell’s mittens will be in Jade. 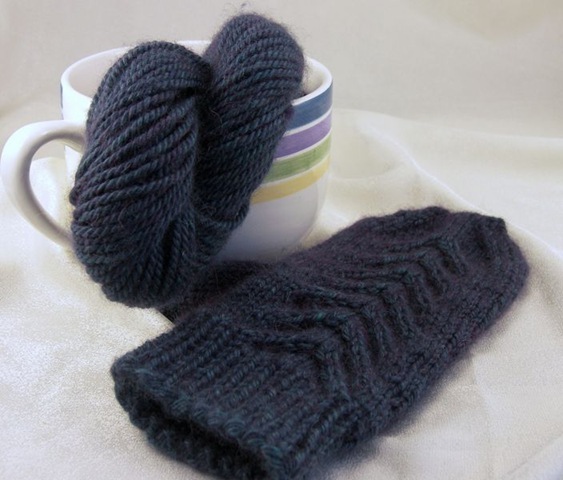 I ordered that and some Sandstone from Now and Zen Yarns. They had a few skeins on sale (half off!!) so I had to buy a few extra. 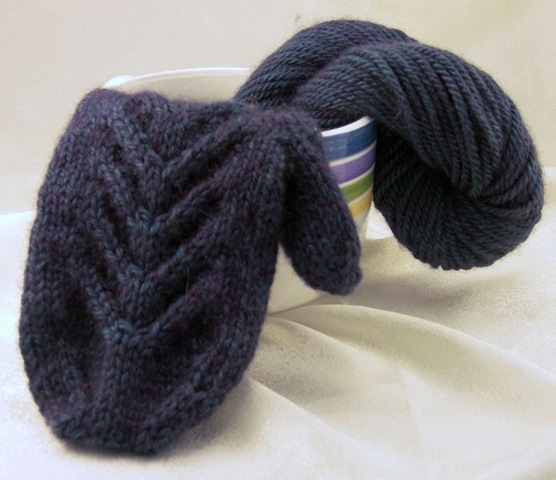 This yarn isn’t too easy to track down online, but it can be done. Head over to Now and Zen and see if they have any skeins left on sale! 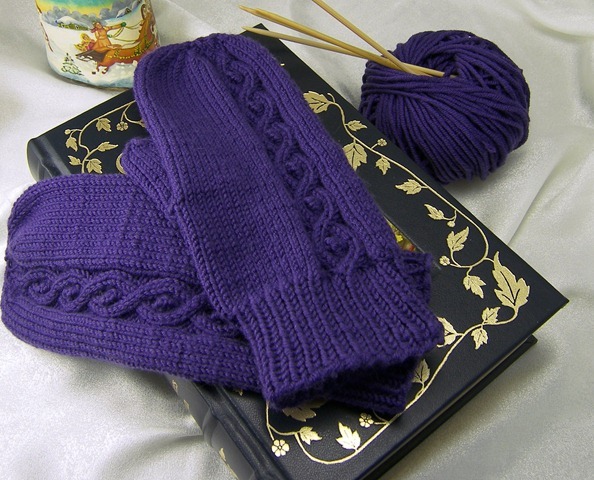 I’ll have the pattern for the mittens up, in three sizes, when I finish the second mitten here. Can’t think of a name for them except World’s Softest Mittens.